Where did this option go in the latest builds? Can I return it back to 2.79? In the beta version and release it is. rB9e3e92a908df: Revert "Cleanup: remove legacy mesh save support"
It was removed intentionally in rBe77d2b4e3f1a: Cleanup: remove legacy mesh save support. I'm not sure why it should be kept, do you really need to be able to create meshes in latest versions and open them in 2.63? It's still possible to open the file in the official 2.79b release and save them with this option. 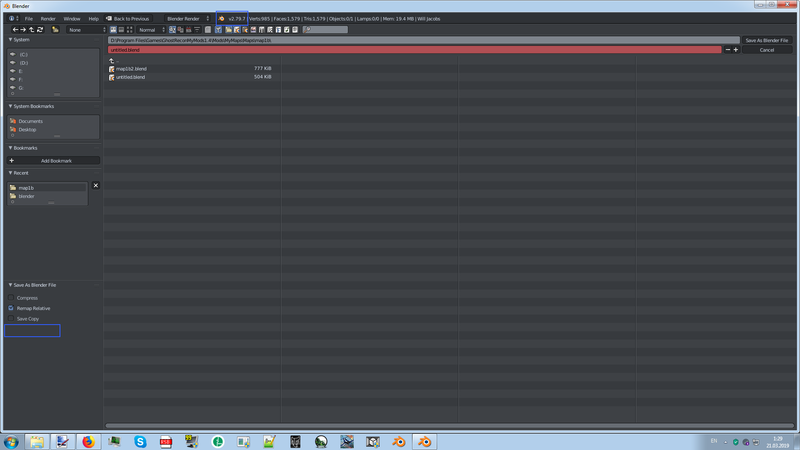 This makes it possible to open the scene in 3Ds max without any export to other formats. In 2.79b there is no option to remove window splits; these corners also annoy me. New assemblies work faster in some places. Then I think the plugin that you are using to open the scene in 3ds max needs to be updated, 2.63 was released 7 years ago, we can't keep supporting that forever. 3DS MAX is also no newer than this version. 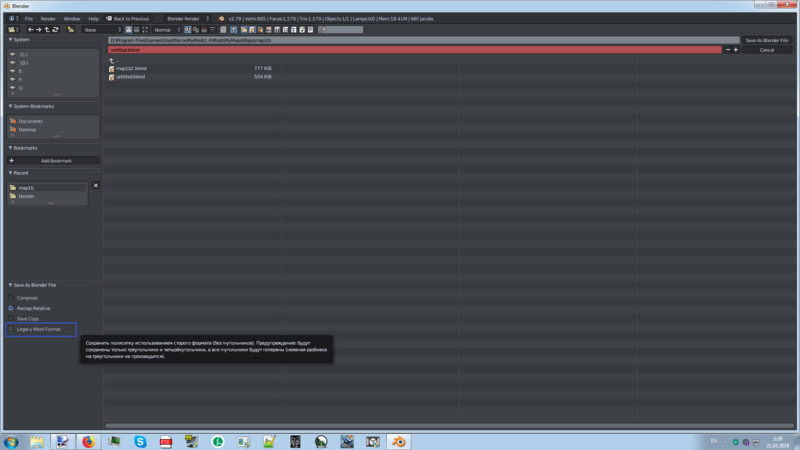 It is only needed to export models to old games. Plugins are available only for versions 4 and 5 of MAX, so they are needed. 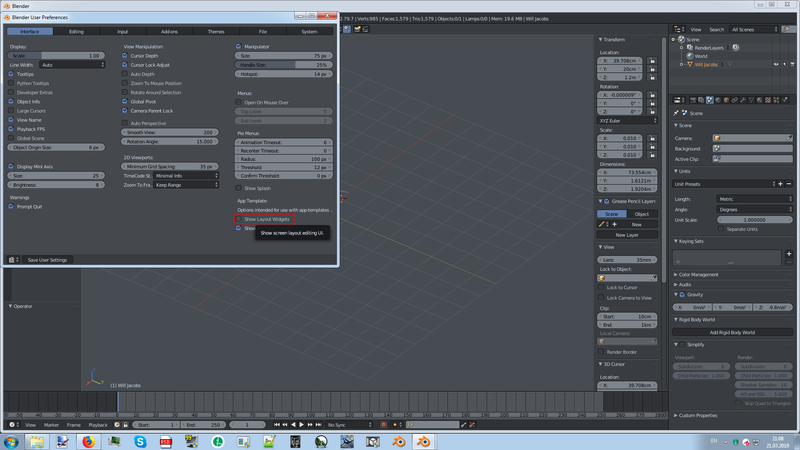 Therefore, it is more convenient to do everything in Blender and then only import to max and from there to the game. 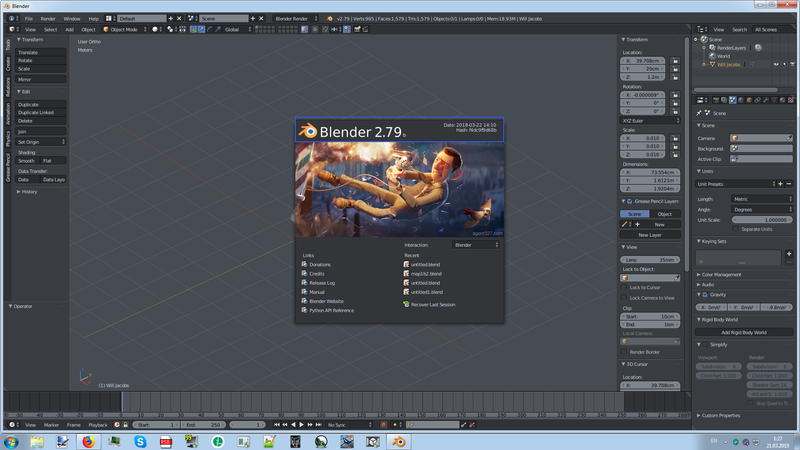 FBH would be a good option but in those versions it is only 6.1 and it is not in the blender as a binary one. Would remove this support in 2.8 then absolutely. This option no in 2.79b. This plugin allows you to import a scene from Blender into 3 max 5.1. It can be done through obzha as an option from a blender or 3ds more. I've restored it in the 2.79 branch now, but it stays removed in master / 2.8. Brecht Van Lommel (brecht) added a commit: rB9e3e92a908df: Revert "Cleanup: remove legacy mesh save support".